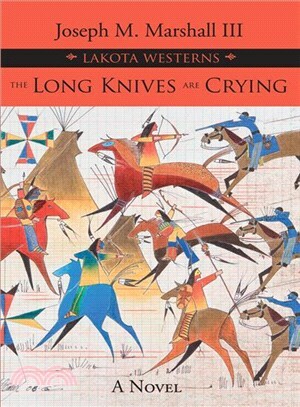 The second novel in Joseph M. Marshall III's acclaimed Lakota Westerns series, The Long Knives Are Crying begins ten years later, in 1875, as Sitting Bull begins gathering thousands of Lakota to face the growing problem of white incursion. What follows is a sweeping tale of the Battle of the Little Bighorn (the Greasy Grass battle) and the remarkable defeat of General George Custer and the Seventh Cavalry, including the days and weeks leading up to the conflict and the lesser-known but strategically important Battle of the Rosebud. Told from the Native perspective through the eyes of the veteran warrior Cloud, Long Knives goes beyond the story of the battle to create an authentic vision of the Lakota way of life. Once again, Marshall imparts his unique voice and eye for detail, creating a page-turning Western with a style of its own. Joseph Marshall III was born and raised on the Rosebud Sioux Indian Reservation and is an enrolled member of the Sicangu Lakota (Rosebud Sioux) tribe. Because he was raised in a traditional Lakota household by his maternal grandparents, his first language is Lakota. In that environment he also learned the ancient tradition of oral storytelling. Marshall is an author with nine non-fiction works, three novels, a collection of short stories and essays and several screenplays to his credit. He is also a speaker and lecturer, having appeared throughout the United States and in countries such as France, Sweden and Siberia. Marshall has also appeared in television documentaries, served as technical advisor for movies, and served as the narrator for the six-part mini-series Into the West, as well as playing the on-screen role of 'Loved by the Buffalo', a Lakota medicine man.